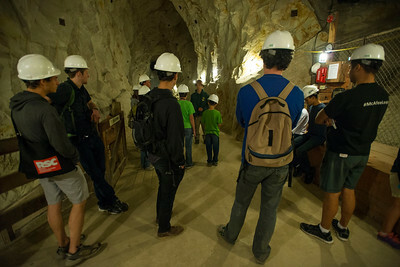 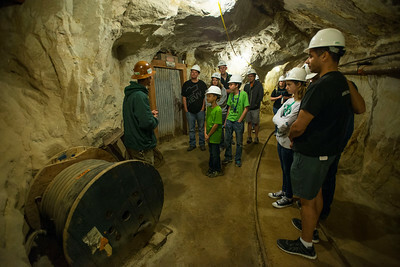 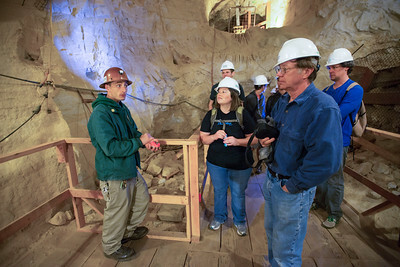 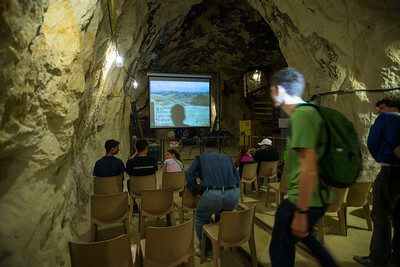 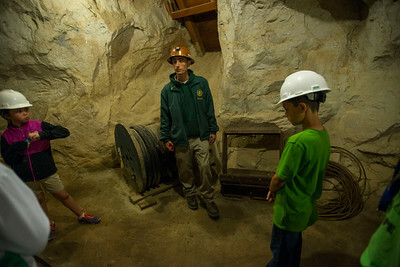 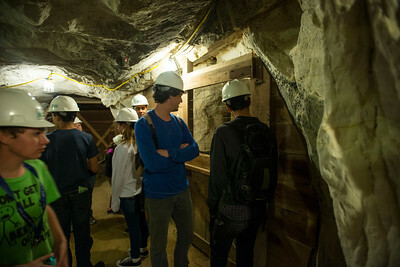 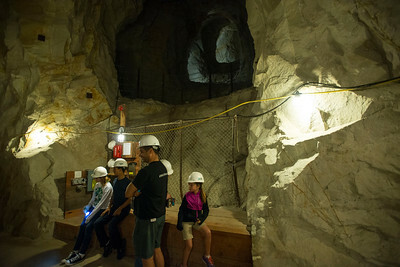 Student-Guide Mick (extremely knowledgeable chap) takes the group through an orientation before the mine tour. 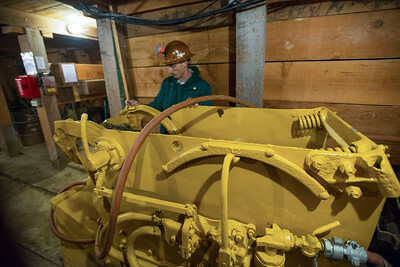 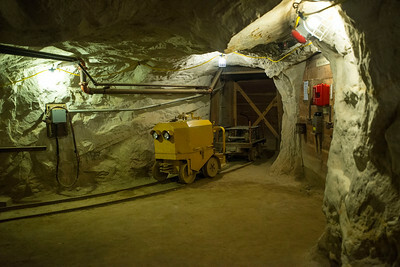 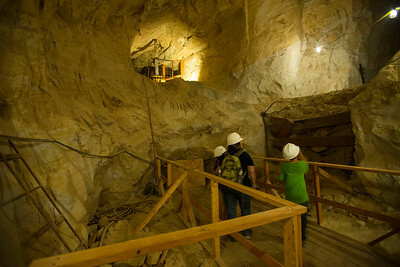 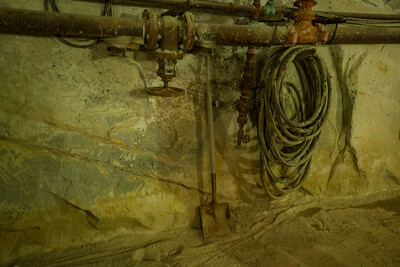 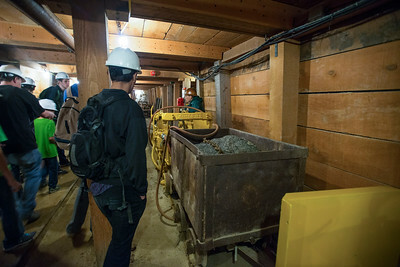 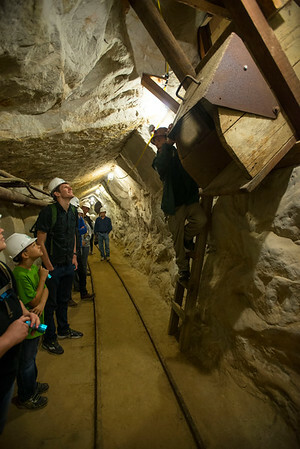 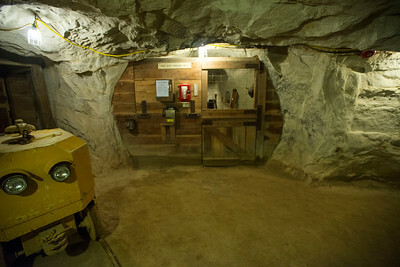 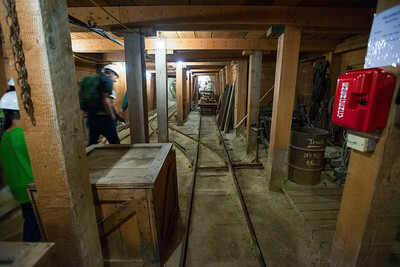 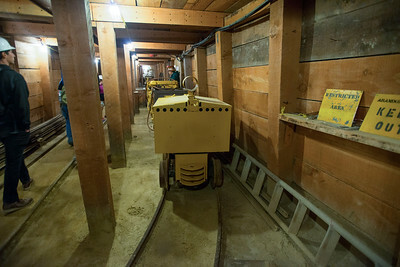 Original machinery from the mine's operating days. 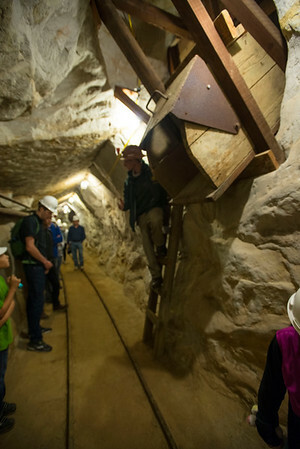 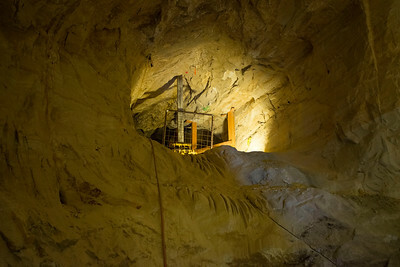 The pulley has a large shovel attached and is connected to a second pulley on the opposite side. 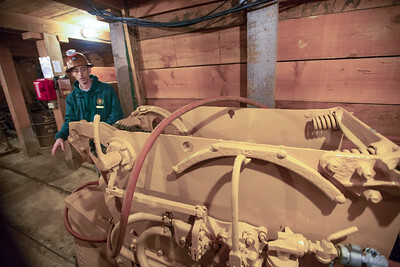 Mick describes the operation of the chute doors that permitted sand to be distributed to the ore cars. 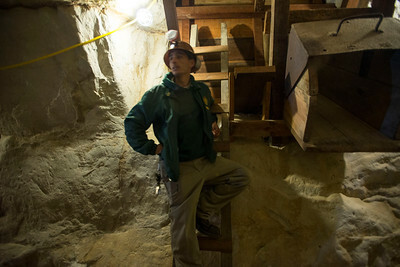 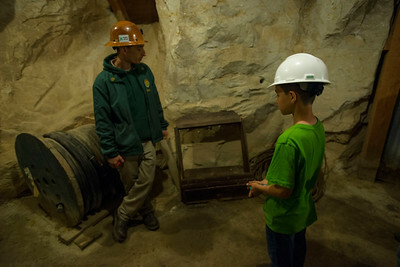 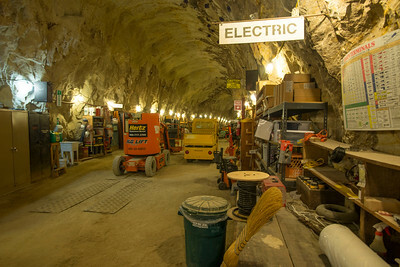 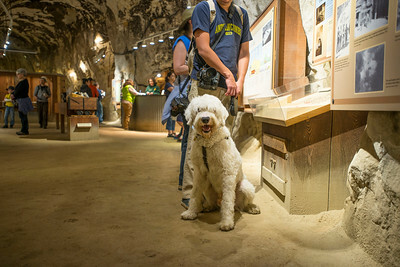 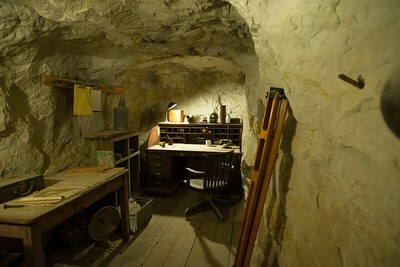 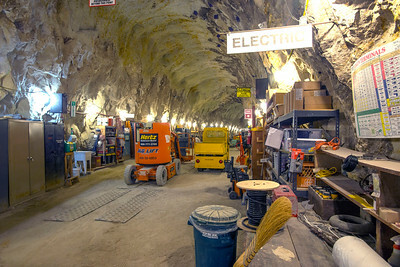 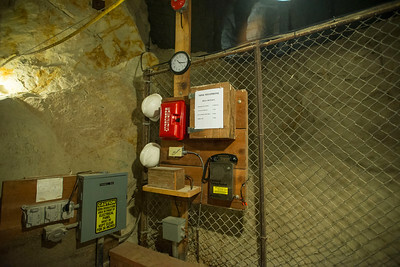 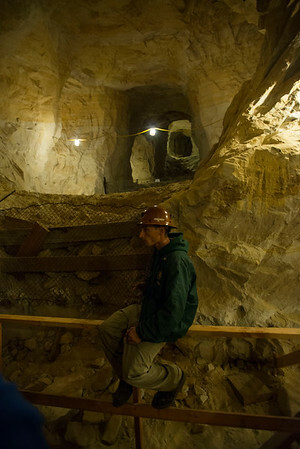 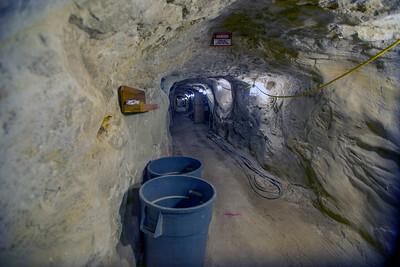 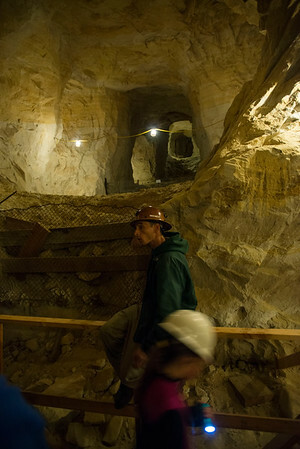 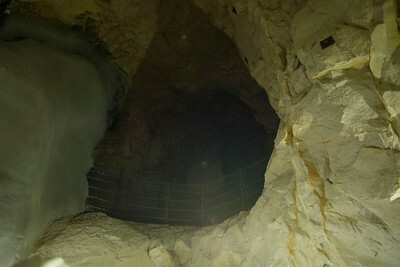 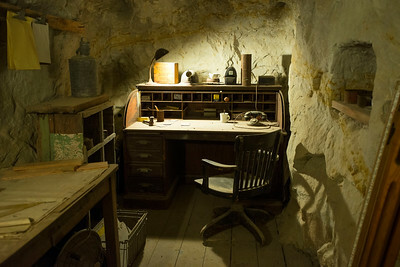 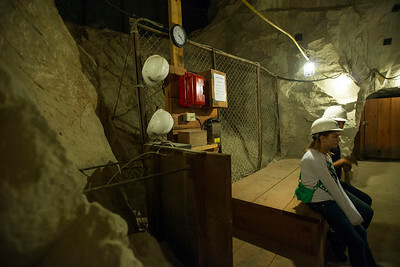 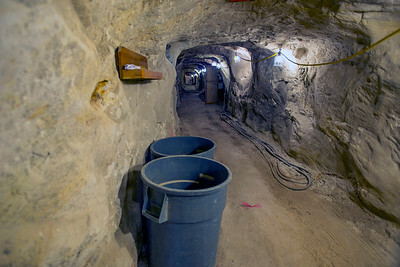 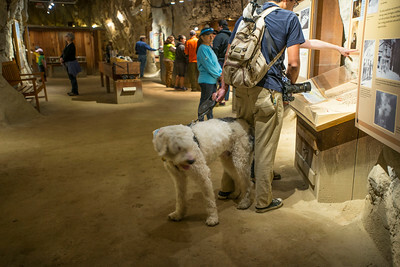 The mine superintendent's office at the Hazel-Atlas Mine. 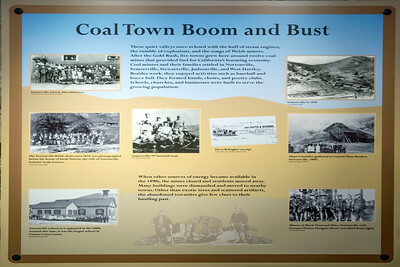 This placard describes life in the boom and bust times of coal mining. 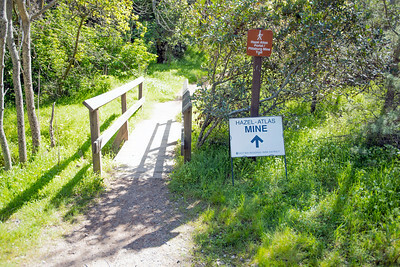 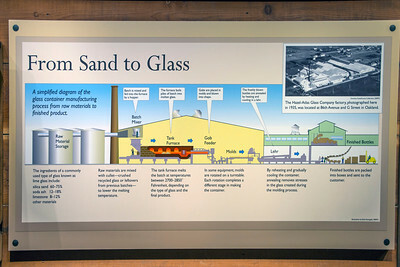 This placard describes the process of making glass out of sand mined from the Hazel-Atlas mine.